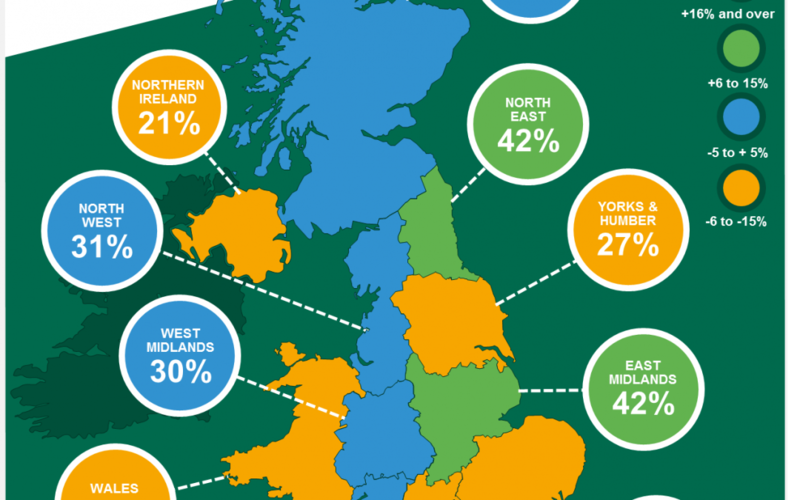 North East firms are among the most confident in the UK, according to the latest Business Barometer from Lloyds Bank Commercial Banking. Business confidence in the region rose 24 points during February to reach 42 per cent, the second highest in the country, the report found. Significantly, the net balance of businesses expecting to hire more staff during the next year rose by 25 points since January to 33 per cent, the largest month-to-month increase across all regions surveyed. Companies in the North East report higher confidence in their business prospects at 47 per cent (up 21 points on 26 per cent in January) and higher economic optimism at 37 per cent (up 27 points on 10 per cent in January). Together, this gives an overall confidence of 42 per cent, which is 24 points above last month’s figure of 18 per cent. Nationally, overall confidence fell two points to 33 per cent, driven mainly by a fall in firms’ confidence in their own business prospects. “Although we’re still feeling the effects of economic uncertainty, North East firms are sending a clear message that they’re more secure in their business prospects for the months ahead. “This has been helped by the fact that the manufacturing industry, which plays a key role in the North East economy, is now the most confident sector in the UK, overtaking construction. “But perhaps the most exciting finding is that the net balance of firms that expect to hire more staff in the next 12 month has jumped by 25 points since January. Across the region, a net balance of 10 per cent of businesses said they felt that the UK’s exit from the European Union was having a positive impact on their expectations for business activity, up 23 points on a month ago when 13 per cent thought it was having a negative impact. Overall confidence was highest among businesses in London, at 50 per cent, followed by the North East and East Midlands, both at 42 per cent. Businesses in the South East were least confident, with an overall confidence 10 points below the national average of 33 per cent. The manufacturing sector reported the highest level of overall confidence at 41 per cent, overtaking construction, where confidence dropped five points to 37 per cent in January. Elsewhere, confidence in consumer services – which includes retail – rose from 27 per cent to 31 per cent, driven by stronger retail sentiment, which leapt 20 points from 17 per cent to 37 per cent. Hann-Ju Ho, senior economist at Lloyds Bank Commercial Banking, said: “Across the country, firms remain resilient and have maintained last month’s increase in economic optimism.